Discussion in 'Mac and PC Games' started by robegian, Feb 28, 2012. 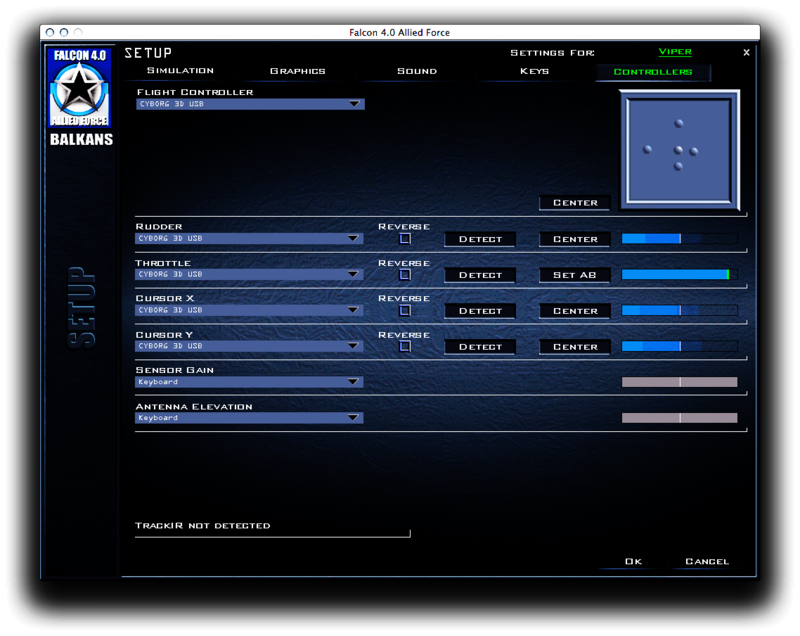 I have a problem with my just bought (on App Store) Falcon 4.0 Allied Force for OS X: when I try to calibrate and use a joystick (Saitek Cyborg 3D), though correctly centered in rest position using the "center" button on the Controllers panel in the application, the rudder, cursor X and cursor Y controls behave incorrectly. I put on line some screenshots showing the problem. In short, the behaviour in all "axes" is not symmetric — in example the value when the joystick is "far right" is much greater than when it's "far left", so the joystick is not usable in the game. Of course, the joystick works flawlessly with other games and flight sims. Is any of you using F4AF with a joystick without problems? It's been a long time since I've played with a joystick. When you say "calibrate" are you using software to do this? 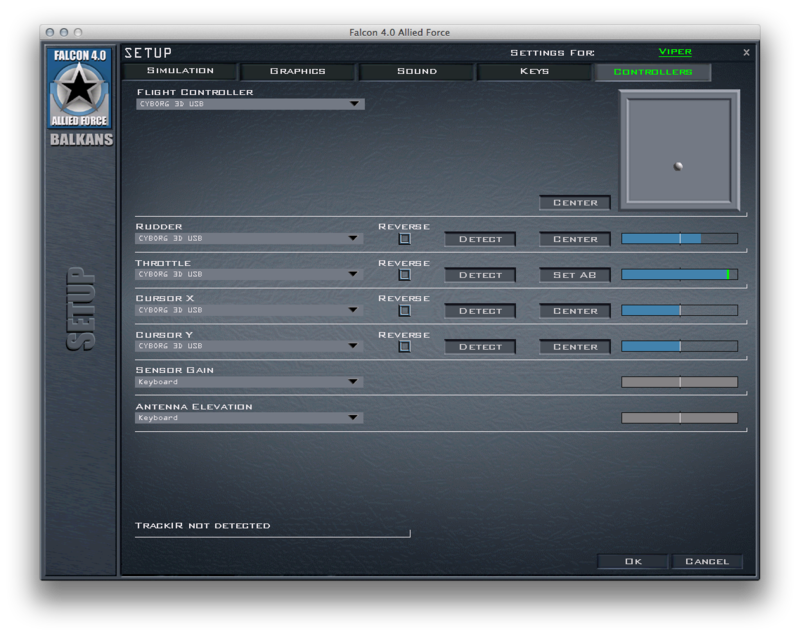 I forget if Saitek has a Mac driver with a calibrate feature? Or does the game have a calibrate feature? I know this does not help, but thought I'd ask. When you say "calibrate" are you using software to do this? If the controller is fully functional in another game, it isn't the controller. If there isn't a driver, you've proven it's the software (unless my troubleshooting skills ain't what they used to be). If you've tried adjustments in the software (if any are available), and it doesn't work, I'd call it buggy software and contact the vendor? This is of course assuming you can use the same computer, with other software (other games specifically) and it works. I plaid a game called Falcon 3.0 back in the day... Is this a continuation of the franchise? Also, does F4 allow you to set the joystick to handle more realistically (exponentially instead of linearly like in the real Falcon)? hatswitch. You'll need this for views within the sim." Interesting. I thought the idea of a calibration program was for you run the stick around the outside limits and the calibration program says, ahh, ok and makes adjustments accordingly.